I don’t know what it is about our garden, but since the year after we naturalised the lawn with daffodils, the shows have been poor. 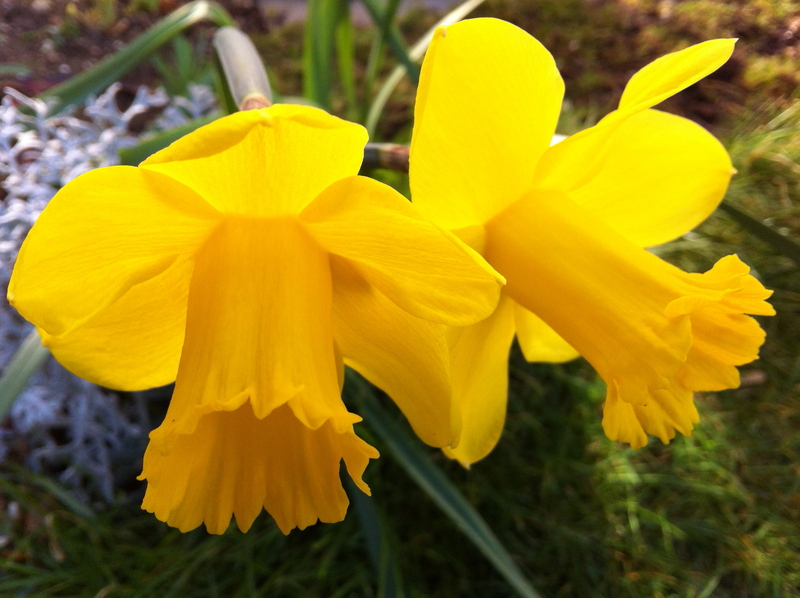 There are several areas under the lawn planted with daffodils, there are about one hundred and fifty bulbs in all (it’s only a small garden) yet for the second year running we’ve had far less than a quarter of them flower. It’s one of the disappointments that the lawn doesn’t erupt into blocks of bright yellow in February/March. We did put quite a lot of work into digging up square patches of the lawn to get the bulbs in and I feel short-changed as one after another come up blind (with no flower stem) each year. It makes me appreciate all the more the ones that do flower. Perhaps the soil is too poor, perhaps it is too dry, or they are too crowded. I don’t know but I’ll be putting down lots of fertiliser and keeping them watered and generally trying to look after them until the leaves wither and die sometime in late June hoping that next year’s show will be better.